Are you looking for a unique fundraiser for your organization – that might also help deliver some of your key messages? If so, we might be able to help! For a limited time, Pink Gazelle Productions is offering the Box of Books deal. 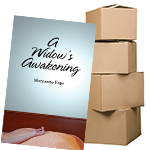 Each box contains 36 copies of the creative non-fiction book, A Widow’s Awakening (plus 50 bookmarks) by Maryanne Pope. The box can be purchased for $180 ($5/book x 36 books) plus $20 shipping. The organization can then turn around and sell individual copies of the book for a suggested retail price of $20 or $25 per book. The Box of Books would be appropriate for organizations that fall within one or more of the 5 key target markets we have identified for A Widow’s Awakening (see below). For marketing purposes, we can provide the organization with electronic versions of relevant images (book cover and author photo) as well as written content for specific niche markets. 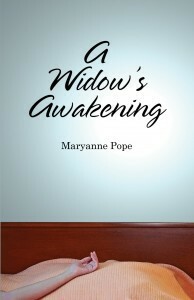 With over 1800 print copies sold, A Widow’s Awakening is touching the heart and soul of readers. This extraordinary story, told in the style of creative non-fiction, is a candid portrayal of author, Maryanne Pope’s, journey through the first year of grief after the on-duty death of her police officer husband. Engaging, powerful and heart-wrenching, A Widow’s Awakening captures the immense difficulty of accepting the unacceptable while learning to transform loss into positive change. 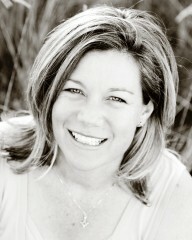 Maryanne Pope is the CEO of Pink Gazelle Productions and Chair of the John Petropoulos Memorial Fund. She is the author of A Widow’s Awakening, the playwright of Saviour and the executive producer of the documentary, Whatever Floats Your Boat…Perspectives on Motherhood. Maryanne lives on Vancouver Island, British Columbia. To read additional reader testimonials, please click here. Here is the link to purchase the Box of Books through the PGP on-line store. If you have further questions or prefer to be invoiced, please contact us. *Please note: we only have a limited number of boxes left. Offer good until Feb 15th, 2015 – or until supplies last.